Honoring what would have been Andréa's 41st Birthday. This event is our way of saying thank you to those who have supported us over these last 16 years. July 28 marks National Dance Day 2018 ! We've got our dancing shoes on with several of our #DreasDream Dance Movement Therapists kicking off #nationaldanceday2018 with the #dancemademedoit Challenge using Mandy Moore's choreography! WATCH us challenge Carrie Ann Inaba and Misty Copeland. Are you up for the #dancemademedoit Challenge?? We work closely with the staff of many schools and hospitals so that Dréa's Dream dances smoothly for their children with cancer and special needs. Without the support of the staff members and administrators who spend hours of their time communicating the needs of the children to us so that we can better serve them, we would not be able to do the work we do. These wonderful folks are grateful for our donations (made possible by YOU) and they are happy to have Dréa's Dream as part of the programming they offer their children! Summer gives us a moment to take a breath and take in the beauty of the Dancing Across America year. Please take a moment to see all of the dance studios across the country who have joined our cause. Each studio raised funds to keep dancing alive in hospitals, schools, and facilities so that children could benefit from this special gift. We are honored and grateful to be a part of these dance schools' lives. American Dance Experience, Hamden CT.
Stay tuned for more Dance Across America events when our season kicks back up in the Fall. You can raise funds for the Andréa Rizzo Foundation while online shopping at smile.amazon. Simply sign into your Amazon account at s mile.amazon.com and click "Your Account" in the top right side of the toolbar, then click "Change Your Charity" in the scroll-down column. ﻿When prompted to select a charity, type The Andréa Rizzo Foundation and do all of your shopping for a good cause! (you only need to type in your choice of charity the first time you set this up). Amazon donates 0.5% of the price of your eligible A mazonSmile purchases to the charitable organization of your choice. 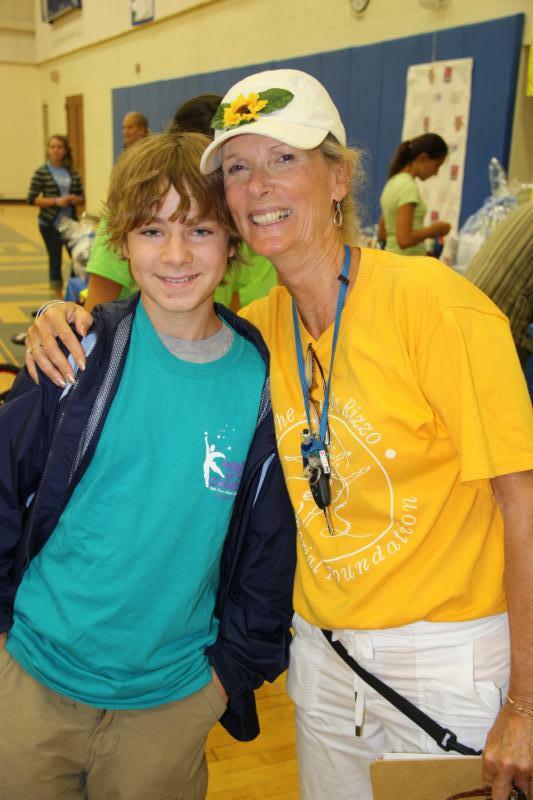 This month, we want to feature a patient who has been a special person in our lives. A story about a patient. The most rewarding experiences are those that allow us to form a strong bond with patients and their families. Fifteen years ago, we met Jonathan Walker, a young patient being treated for neuroblastoma at Memorial Sloan Kettering Cancer Center. He participated in Dréa's Dream and his family continually expressed their gratitude for our program and its benefits for Jonathan. 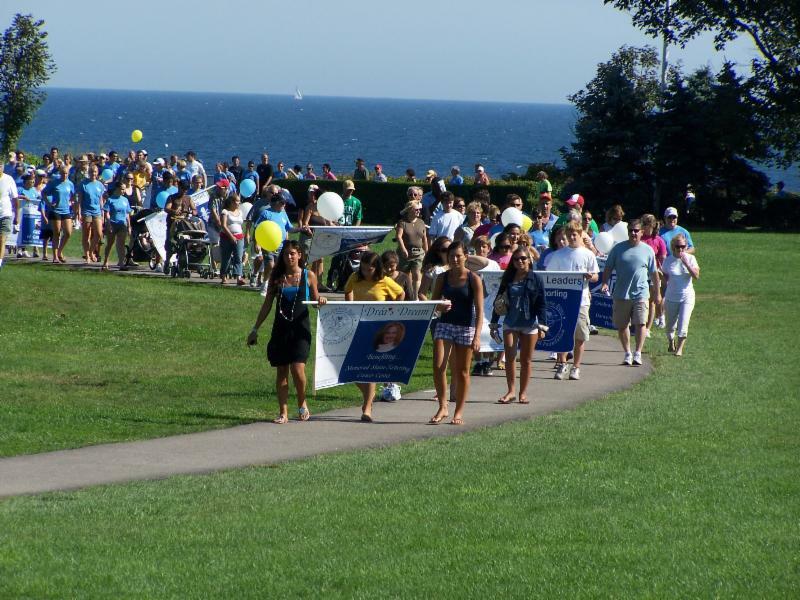 As soon as Jonathan was well enough, they began attending our Cliff Walk Celebration in Newport, RI and continue to do so to this day. 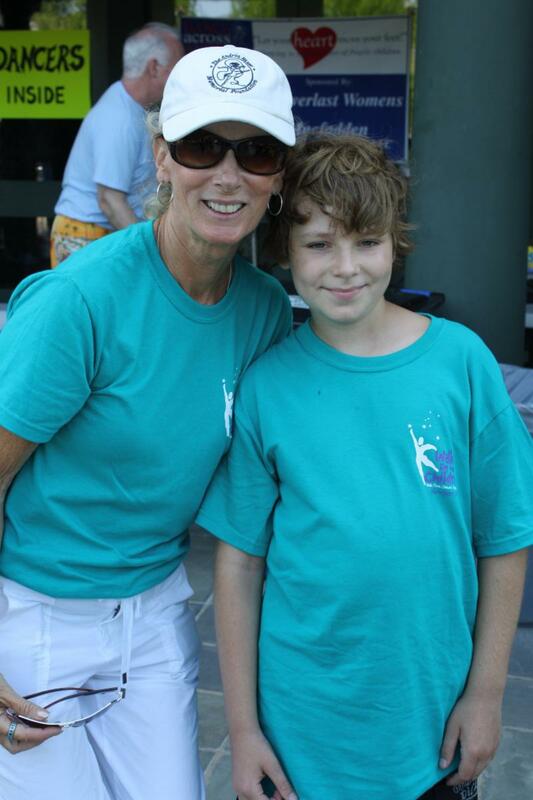 We've had the humbling experience of watching Jonathan courageously battle all of the challenges that he's faced - sometimes attending our walk-a-thon on crutches or in a wheelchair. 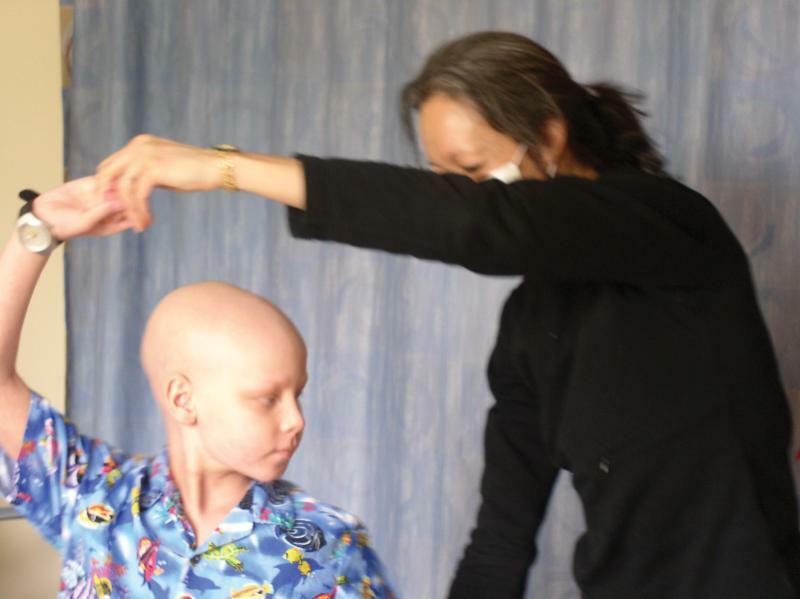 Here in this picture below, you can see him dancing with one of our dance/movement therapists, Suzi Tortora, at MSKCC. ﻿We learned of the long stays in various hospitals for the many medical conditions that he endured and always kept him in our prayers. When he attended one of our most recent "Cliff Walk Celebrations" we could see that our prayers were answered. Jonathan spoke with us at length about his college days and his aspirations for the future. Jonathan Walker is not only a survivor - but he is a warrior who has not let cancer keep him down. Here are some photos of Jonathan at our Cliff Walk event throughout the years - and we hope to see him this year again! Jonathan Walker, college student, attending a recent Cliff Walk Birthday Celebration in Newport, RI. Talent on Parade has become a loyal sponsor, helping us get Dance Across America up and running for the past two years. They are an official sponsor of the Dance Across America campaign in support of Dréa's Dream nationwide. 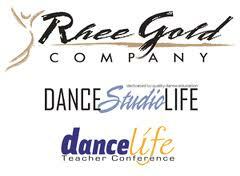 We thank the Rhee Gold Company for continuing to support our efforts and spreading the word of Dréa's Dream in their Dance Studio Life magazine and through DSL Dance Wire news on-line. The Moret Group has provided prizes for our Dance Across America pledge-raising competition each year. We are so grateful to John Debease at The Moret Group for arranging the donation of fabulous activewear for our top pledge raisers.